Now once upon a time – to tell the truth it was 1922 – there was a survey conducted in America. Yes, they checked out, I believe, the reading habits of 36,000 children and discovered that most of the books children were reading were produced by the Stratemeyer Syndicate. But the nature, and even the existence of the Syndicate didn’t really become public until the late 1970s when the Syndicate was involved in a court case over copyright. The intelligent Edward Stratemeyer had realized that children were less interested in reading for moral instruction than in reading for thrills and pleasure. So he turned this realization into a fortune based on an assembly line of millions of exciting stories, beginning in 1899 with The Rover Boys. And maybe you remember the Bobbsey Twins – they were Stratemeyer inventions. And Nancy Drew of course. Edward wrote under many pseudonyms, and he also had ghost writers who were sworn to secrecy. Quite a lot of involving there. 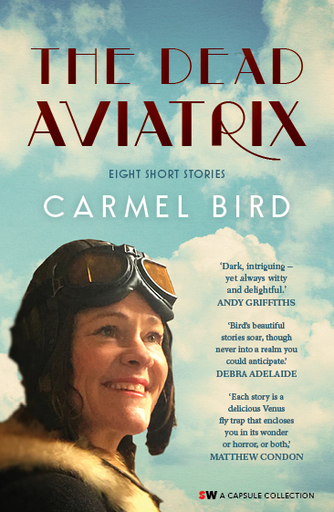 “The aviatrix sat looking on through all this tumult with a happy smile.” I liked it – see above. You don't often come across the word ‘aviatrix’ you see. I have had half the title of this story you are reading for some years now, have had the story ready to tell, but it wasn’t until I got onto Edward and his Syndicate that I discovered how to go about it. So that was a bit of a preamble. Here is the story. It’s a publishing story. Characters: Finch One (Aviatrix), Finch Two, Publishing Person, Airhead Intern, Ron. I do apologise for the term ‘airhead’, but I don’t know of an alternative that fits the case – well in fact I do know some, but airhead is the nicest. Finch One, you will be happy to learn, was a famous Australian aviatrix. At last, the Aviatrix. Like the Motor Girls before her, she was intrepid, a flying pioneer. She was born five years after the Motor Girls made their appearance in A Mystery of the Road. And unlike the great and mysterious Amelia she did not disappear in the skies, but died in the fullness of time in 2009. Needless to say she produced an autobiography The Flying Girl which, while it did not attract those 36,000 American children, was a very pleasing account of a vital chapter in Australian history, and had a nice little echo of The Flying Nun. In her final years Finch One lived in a charming and romantic house that nestled in the trees at the top of a cliff looking down on the waters of Sydney Harbour. The only access to the house was by water, and by a long, steep unforgiving stone staircase. Finch One was ever agile, but you will probably have realized that. Now while Finch One was happily fading away at the top of her pretty cliff, Finch Two was herself quite busy in her bushland retreat writing a book. Let’s call this one The Novel. Matters were quite advanced, and Finch Two was waiting for the parcel in the mail that would be the final proofs for her attention. And they didn’t come and they didn’t come. Ron the postman would knock on the window of Finch Two’s study, would hand in parcels of all kinds, and Finch Two would say to him – oh, nothing yet from the Publisher Person, is there, Ron? And Ron would open his eyes wide and say – No, Finch, nothing from there. And Finch Two would give him a chocolate anyway. So time went by and time went by, and one day, the PP took to the telephone and spoke sharply to Finch Two saying – So where are the proofs. We need to go to print tomorrow. We sent them three weeks ago. NB: Finch One has died by this time. And we are now involved in a bit of a mystery about the proofs. So it is the time for a flashback. Remember that Intern? Airhead Intern? Yes, well there she was with a pile of parcels to take to the mail room. So much to think of, so much to do, tattoos to consider, a new bikini, an appointment with the footbinder etc etc. She quickly flew through the addresses on the database, attaching sticky labels to parcels, zip zip slip slop slap then off to the mailroom and out into the sunshine grab a coffee get the nails done sniff a little coke. Rave. The manuscript of The Novel was, as you will have realized, addressed to Finch One, author of The Flying Girl, at the top of the winding stone stairs in the trees, on the cliff, looking over the sparkling waters of the celebrated Harbour. If Ron had been leaping up those stairs, he would have knocked on the window in vain. Alas, the parcel was, strangely, not returned to sender. Could it be that Airhead had not registered a return address? This is possible. Probable. There is, at the end of the rainbow, a place called the Dead Letter Office. And there the proofs of The Novel reside to this day. PP got cracking, and new proofs were sent to Finch Two under the personal supervision of PP to the trusty hands of Ron who duly delivered them to the window of the studio, and in due course The Novel was published as if by magic. Airhead was awarded a PhD in Writing and Editing, and went on to become an important person in the mysterious world of publishing. The Aviatrix sat looking down on all this tumult, from her gallant machine in the sky, with a happy smile. The Dead Aviatrix is an ebook published by Spineless Wonders in November 2017. It is the first book of short stories in the Spineless Wonders new Capsule Collection series. The eight stories in The Dead Aviatrix are not obviously connected with each other by theme or character or plot, although because they originate in my imagination, they all reflect my interests and concerns. The ebook is a gathering of eight of my stories that have been recently published in various journals. Here is an account of how the present collection came about. What are the hares getting up to among the sunflowers? Who is paying $6000 for a raincoat? The priest is good, kind, adored, believed – but can the schoolgirl trust him? Who kills his wife and dumps the body in the pool? What if you find your death was listed long ago online? 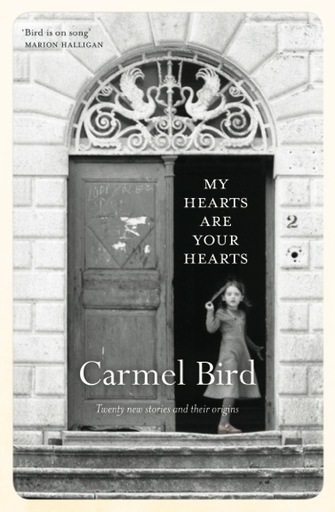 With lightness in the telling, with subtle harmonies and rhythms in the sentences, subversive wit, tender observation – these twenty stories explore the mysterious workings of the heart. Accompanied by the author’s comments on the stories’ origins and themes, as well as insights into the creative process. 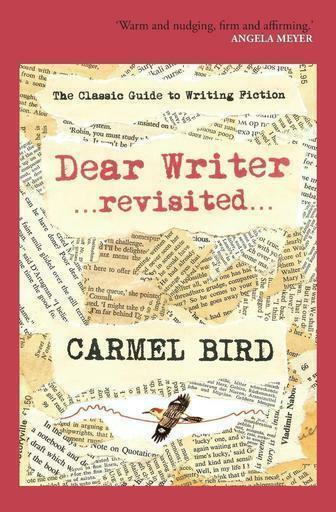 People who are beginning to write fiction, particularly people living in remote places, often send their manuscripts to an assessor, and the letters in the original edition of Dear Writer were inspired by correspondence I had with writers when I was reading their manuscripts. I used to sign my letters with the name of a character from my own fiction. Her name is Virginia O’Day, and she has signed the letters in my book on writing ‘Dear Writer... Revisited’. These Dear Writer letters are a narrative of sorts which provide insights into the essence of the writer’s art.